A quick view of the most influential metrics in Kaneohe. Kāneʻohe is a census-designated place (CDP) included in the City and County of Honolulu and located in Hawaiʻi state District of Koʻolaupoko on the island of Oʻahu. In the Hawaiian language, kāne ʻohe means "bamboo man". According to an ancient Hawaiian story a local woman compared her husband's cruelty to the sharp edge of cutting bamboo; thus the place was named Kāneʻohe or "Bamboo man". The population was 34,597 at the 2010 census. 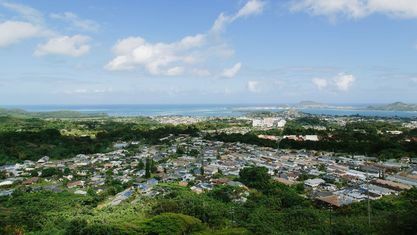 Kāneʻohe is the largest of several communities along Kāneʻohe Bay and one of the two largest residential communities on the windward side of Oʻahu (the other is Kailua). The commercial center of the town is spread mostly along Kamehameha Highway. From ancient times, Kāneʻohe was important as an agricultural area, owing to an abundance of rainfall. Today, Kāneʻohe is mostly a residential community, with very little agriculture in evidence. The only commercial crop of any consequence in the area is banana. 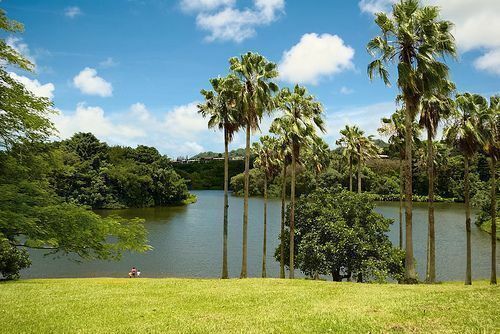 Features of note are Hoʻomaluhia Botanical Garden and the new Hawaiʻi National Veterans Cemetery. Access to Kāneʻohe Bay is mainly from the public pier and boat ramp located at nearby Heʻeia Kea. Access to Coconut Island (restricted) is from the state pier off Lilipuna Road. Marine Corps Base Hawaii lies across the south end of Kāneʻohe Bay from the central part of Kāneʻohe, although the town stretches along Kāneʻohe Bay Drive to the base perimeter. The ZIP code for Kaneohe is 96744. 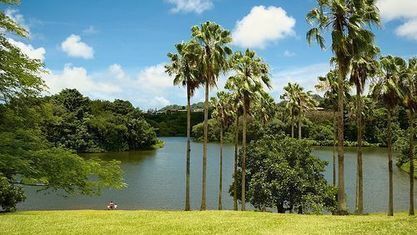 There are three golf courses in Kāneʻohe: Pali Golf Course (public), Koʻolau Golf Club (privately owned but open to the public), and Bayview Golf Park (privately owned but open to the public). 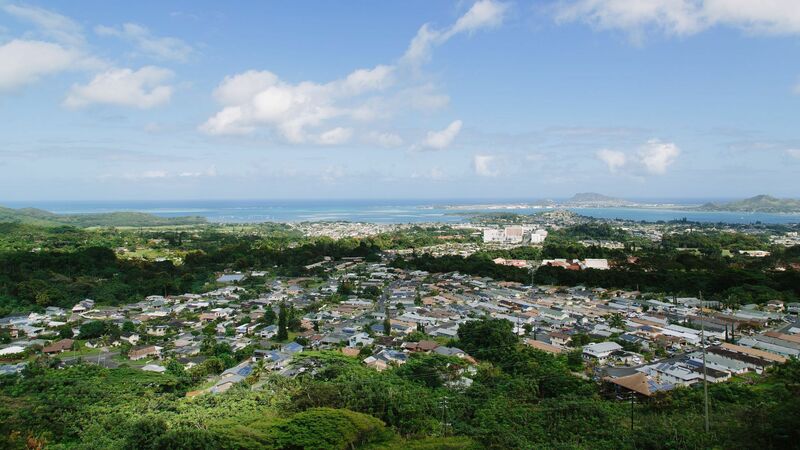 View our selection of available properties in the Kaneohe area. Check out the latest demographic information available for Kaneohe. Get to know Kaneohe better with our featured images and videos. Browse through the top rated businesses in the most popular categories Kaneohe has to offer.